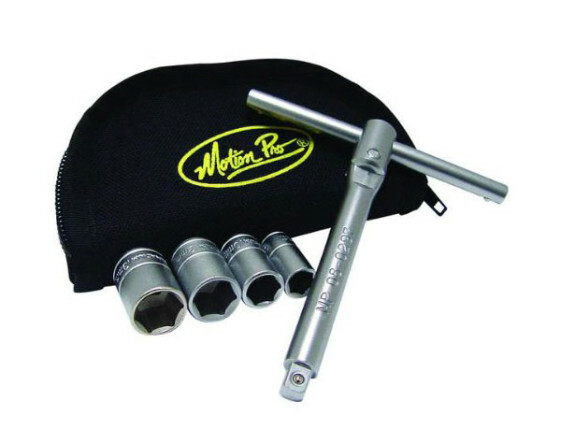 This 1/4″ drive folding T-handle driver is compact and lightweight when compared to a traditional socket wrench. It may not be as easy to use as a ratcheting socket, but for occasional trailside repairs, it should not be a problem. The T-handle design allows you to apply enough torque for most motorcycle applications. The kit includes 8,10,12 and 13mm sockets and you can purchase additional socket sizes if you need them. This T-handle driver can also be used for other types of bit attachments (See Tip #9).